Recently launched satellites of BeiDou Phase 3 program have started broadcasting new signals. Javad GNSS announced successful tracking of these signals and provided the adjacent figures. Interface control documents (ICDs) for B1C and B2A signals are available, while an ICD for the other signal, called B2B, has not yet been published. The company tracked the signal on the 1207.14 Mhz frequency on BeiDou’s satellites 32, 33 and 34, and subsequently saw that this signal is available on all recently launched BeiDou Phase 3 satellites, and tracked it successfully. This B2B signal plus B2A signal together form an AltBOC(10,15) signal on 1191.795 MHz — JAVAD GNSS calls it BaltBOC. Assuming that BOC parameters of this signal are similar to Galileo’s, the company tracked this. 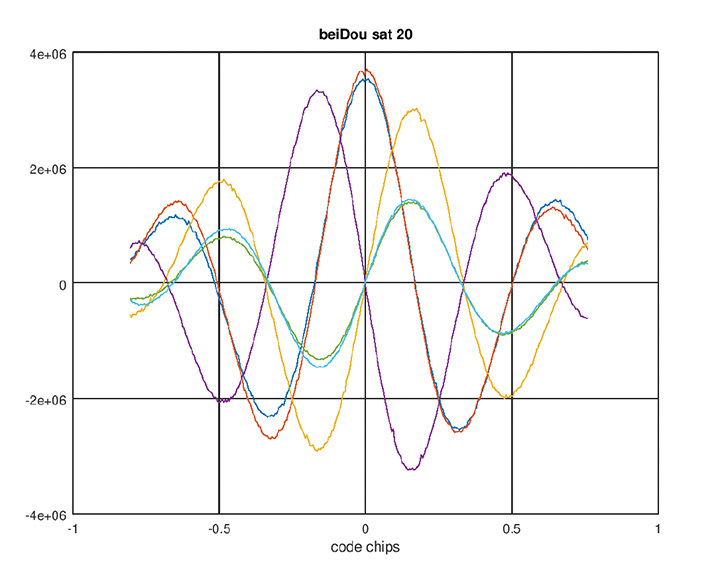 Figures 1 and 2 show BeiDou andGalileo (BaltBOC and altBOC) discriminator curves; they appear identical. Figure 1. BeiDou AltBoC signal. Red and blue: I of B2A(E5A) and B2B(E5b) sub-signals; purple and yellow: Q of B2A(E5A) and B2B(E5b) sub-signals (their sum is zero); green and aqua: I (early-minus-late) of B2A(E5A) and B2B(E5b) sub-signals. Figure 2. 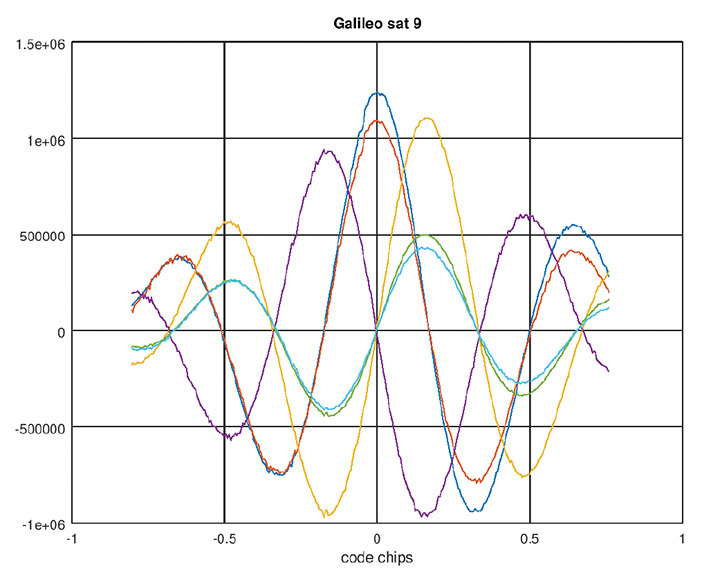 Galileo AltBoC signal. Colors same as Figure 1. Figure 3. 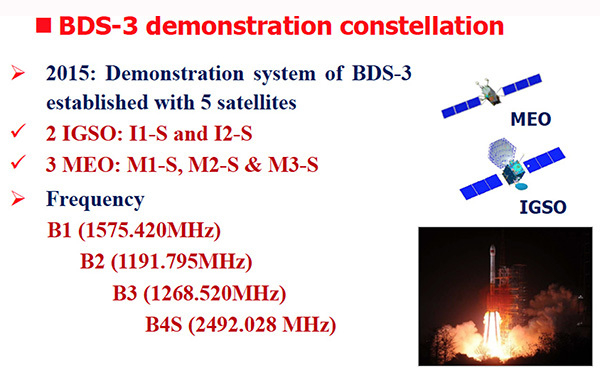 BDS-3 demonstration constellation. Figure 4. 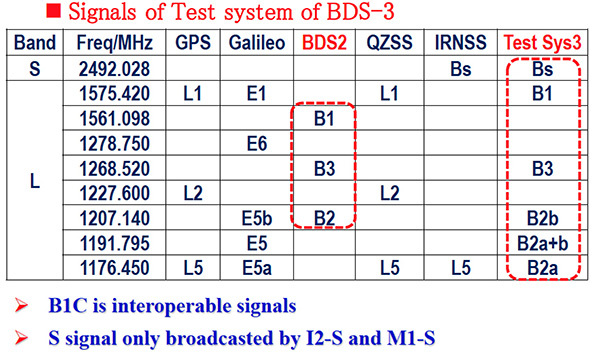 Signals of test system BDS-3. Figure 5. BDS-3 signal modulations.